I work at the University of Oxford, where I am based in the Statistics Department and I am also a fellow of Magdalen College. My research is in probability theory and focuses essentially on models and situations which involve tree-like structures and branching phenomena. Examples include coalescent processes, branching processes, continuous random trees, branching random walks... These models are not only endowed with a remarkably rich mathematical structure that connects them to many area of mathematics, but they also occur naturally in e.g. physical sciences, in population genetics and in biology. Questions that arise in these fields are a major motivation of my work. PhD students: Cyril Labbe (graduated 2012), Pierre-Antoine Corre. 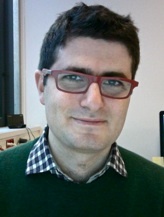 Postdoctoral associates: Matthew Roberts (2010).